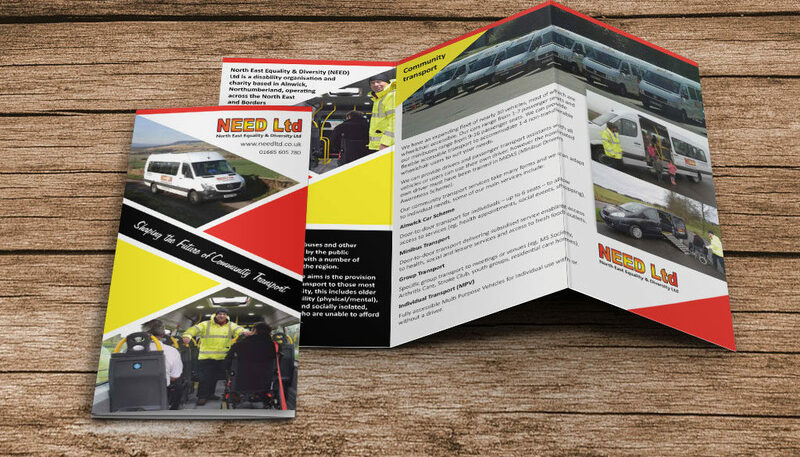 NEED Ltd‘s new charity website fits their existing brand, showcases their vehicle fleet and makes it easy for people to enquire about their available services. It’s fast and easy to use with the latest Wordpress technologies. Alpha also worked with the team at NEED to design a tri-fold promotional flyer and pull up banner stand, reflecting their strong brand identity. North East Equality & Diversity is a disability organisation and charity based in Alnwick, Northumberland, operating across the North East and Borders region. One of their main charitable aims is the provision of accessible affordable transport to those most vulnerable in the community, this includes older people, those with a disability (physical/mental), those who are rurally or/and socially isolated, young people and those who are unable to afford public or private transport.